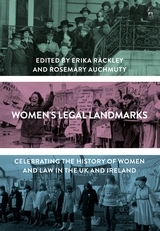 While feminist legal scholarship has thrived within universities and in some sectors of legal practice, it has yet to have much impact within the judiciary or on judicial thinking. 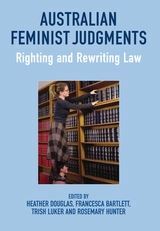 Thus, while feminist legal scholarship has generated comprehensive critiques of existing legal doctrine, there has been little opportunity to test or apply feminist knowledge in practice, in decisions in individual cases. 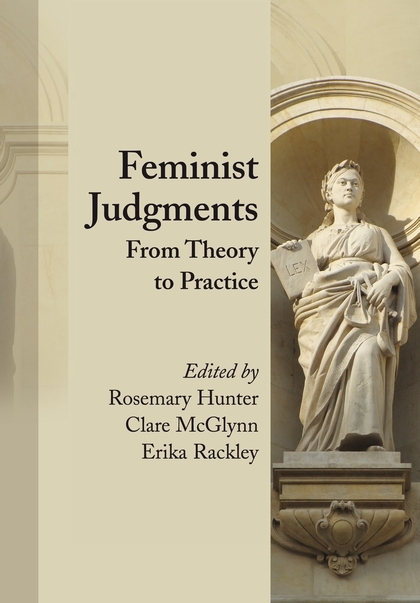 In this book, a group of feminist legal scholars put theory into practice in judgment form, by writing the 'missing' feminist judgments in key cases. The cases chosen are significant decisions in English law across a broad range of substantive areas. The cases originate from a variety of levels but are primarily opinions of the Court of Appeal or the House of Lords. In some instances they are written in a fictitious appeal, but in others they are written as an additional concurring or dissenting judgment in the original case, providing a powerful illustration of the way in which the case could have been decided differently, even at the time it was heard. Each case is accompanied by a commentary which renders the judgment accessible to a non-specialist audience. 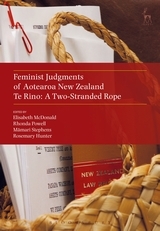 The commentary explains the original decision, its background and doctrinal significance, the issues it raises, and how the feminist judgment deals with them differently. 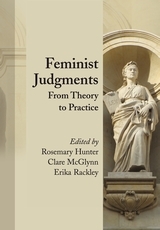 The books also includes chapters examining the theoretical and conceptual issues raised by the process and practice of feminist judging, and by the judgments themselves, including the possibility of divergent feminist approaches to legal decision-making. “Within each of the chapters on the cases themselves, there is a commentary giving basic facts and important information to establish the foundations of the issues and to discuss why the case is significant. The commentary is extremely helpful, as no user is likely to be an expert in all the areas under consideration. Penetrating analysis, with a full, detailed but clear exposition that leaves few stones unturned. Clare McGlynn is a Professor at Durham University.